A combo photo shows Bhavani Shrestha working at her tomato farm in Panchkhal, Kavre, on Wednesday. She sells four to five crates of tomatoes every day. 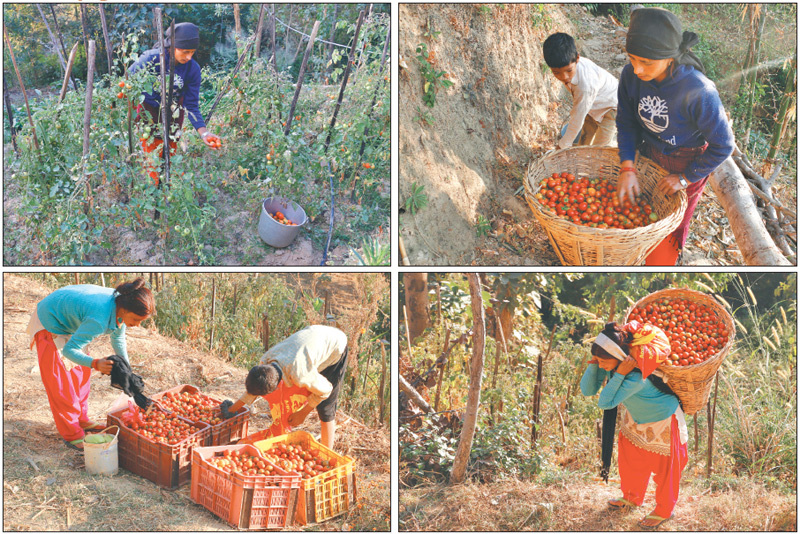 Shrestha, who started tomato farming around a decade ago expecting higher returns, complains she has not been able to make profits as expected due to middlemen taking away most of the profits.